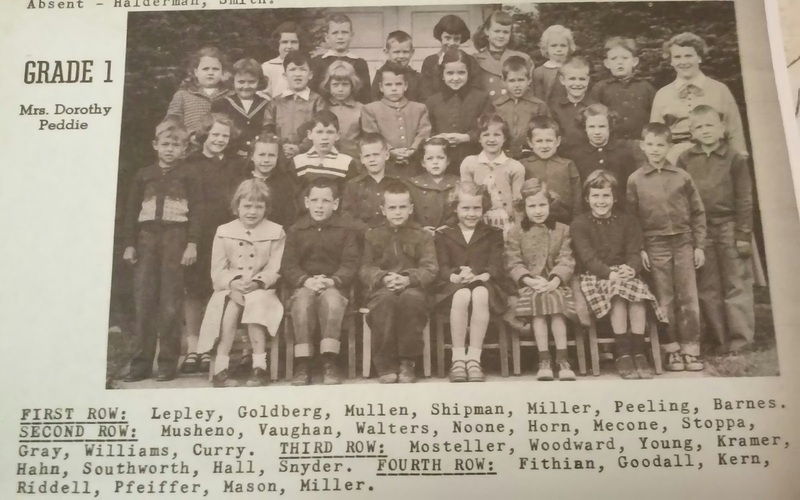 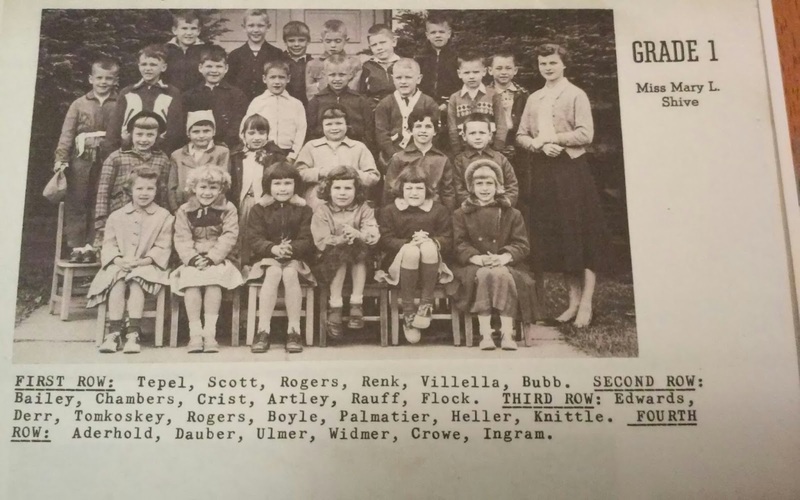 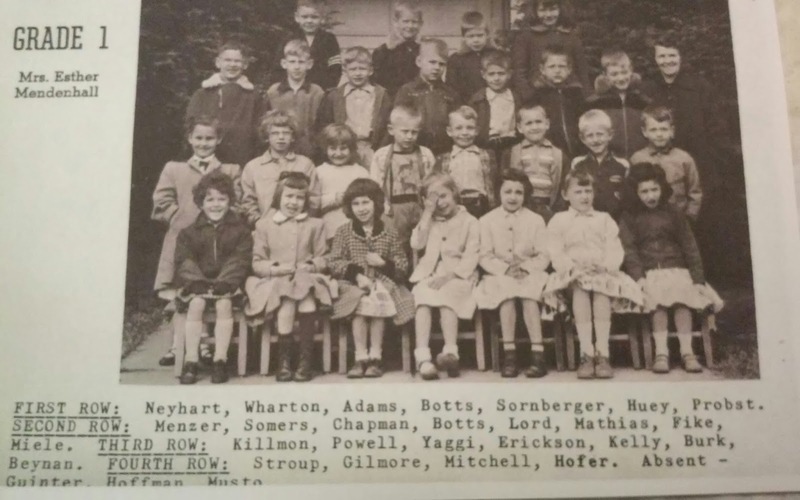 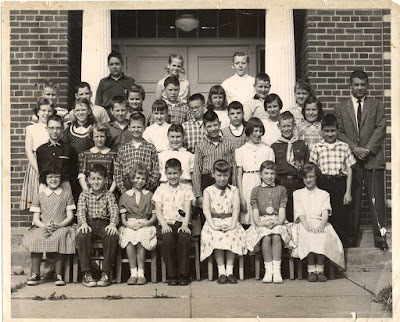 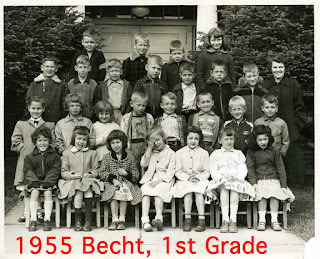 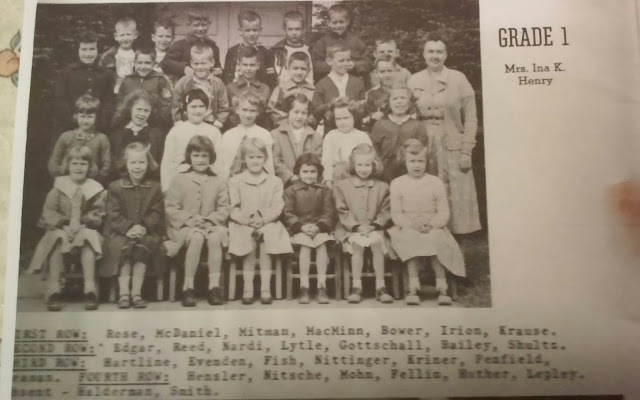 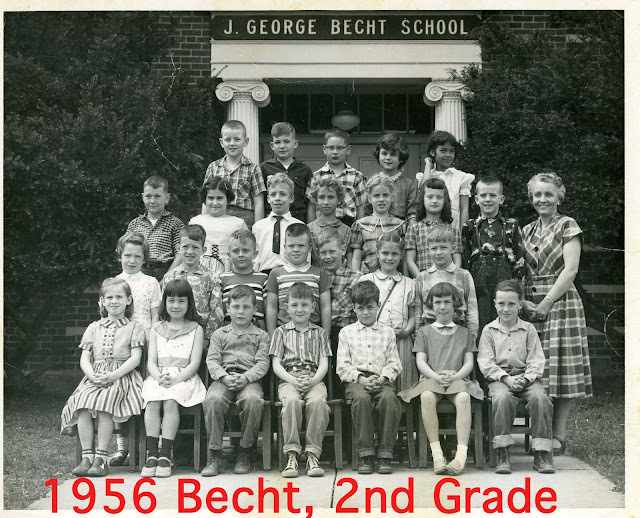 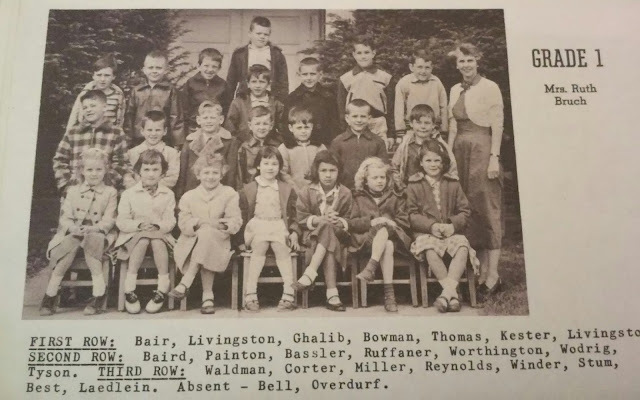 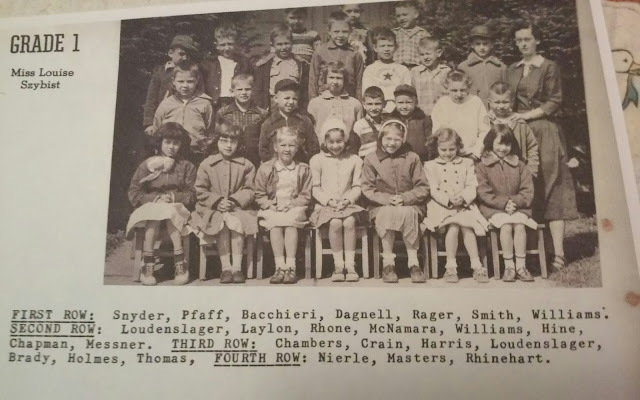 The following 6 Becht Grade 1 photos came from Elaine Parker. 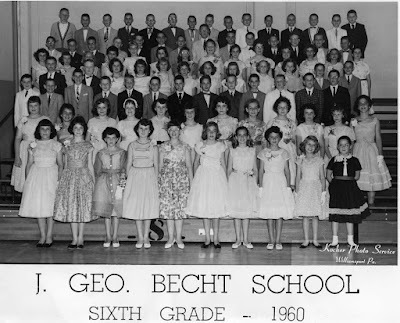 Six more photos are below on this page: 1966 Four Mile dance, 1960 Becht showing all 6th graders, plus individual classes from 1959, 1957, 1956, and 1955. 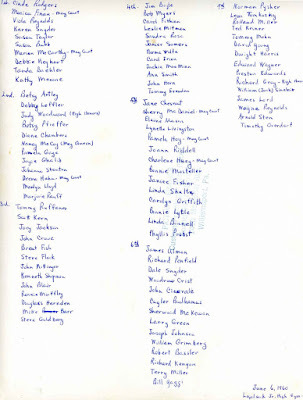 I think these 6 came from Mike Killmon. 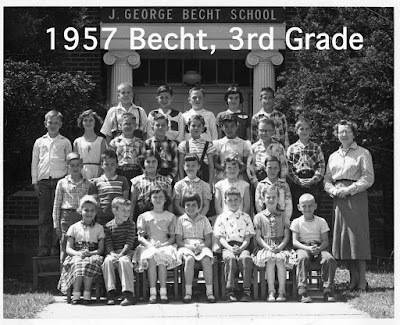 For reference, the "really big" original full-size "as scanned" versions of these 6 photos (about 2200 pixels wide) are located in the "Full Size Photos" directory on Track2.com, but you will probably need Photoshop or some sort of editing software to rotate these and fit them to the screen.